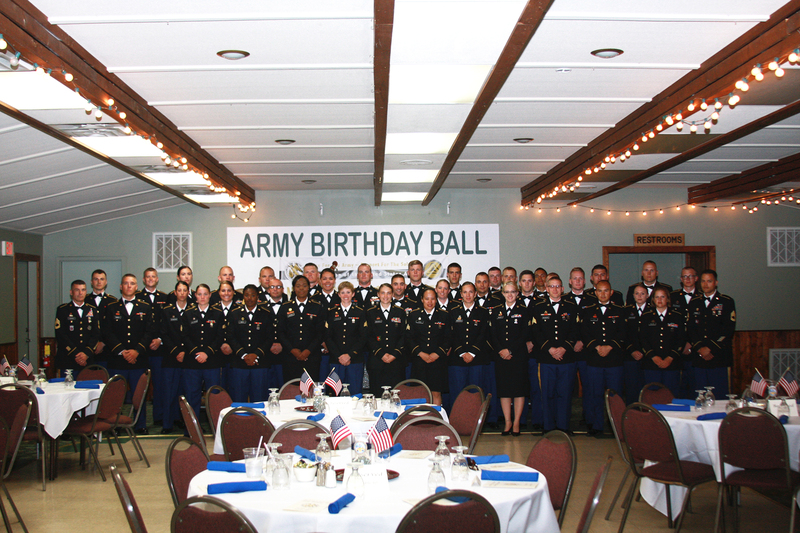 The Association of the U.S. Army’s Maj. Gen. Robert B. McCoy Chapter held its third annual Army birthday ball, June 18, in Sparta, Wisconsin. This event celebrated the 241st Army birthday as well the 107th birthday of Fort McCoy. To recognize the importance of Army young professionals, the chapter hosted 38 junior leaders attending the Fort McCoy NCO Academy Basic Leader Course. The class attending the Basic Leader Course included Army Reserve and Army National Guard soldiers from throughout the United States. Their attendance at the birthday ball was coordinated by Course Manager Sgt. 1st Class Anthony A. Lukasik, a member of the McCoy Chapter.